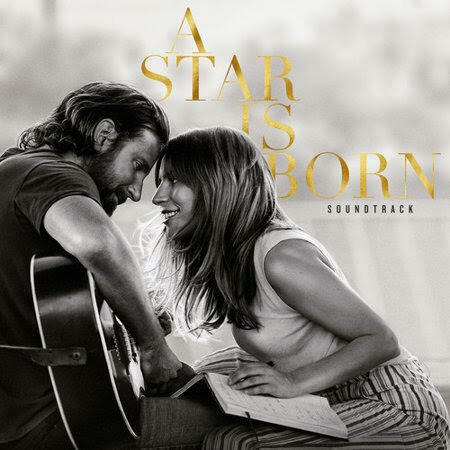 “Shallow” is the unofficial theme song from the film, A Star Is Born, with Lady Gaga and Bradley Cooper not only as the stars of this film, but as the singers behind this exceptional track. This song has a nearly uninterrupted run at #1 on iTunes since its release on September 27th and also joins the ranks of hits on Billboard’s Top 100 at #5. The popularity of this song is no surprise as once you hear the chilling vocals, you can’t help but to take a pause from your life and listen. It starts out with the gravelly voice of Bradley Cooper singing while playing acoustic guitar. Then Lady Gaga joins in to trade verses and the song carries on witnessing their impressive harmonizing. The combination of Lady Gaga’s powerful pipes and Cooper’s melodic voice is chilling to say the least. This is easy to sing, and hum to and perhaps even walk down the aisle to. This slow-burning ballad promises to make A Star Is Born soundtrack one of the better ones in history. There is also some interesting background information about this song. Lady Gaga, of course, is a pop icon and this is her 15th Top Billboard Hit so there’s no doubt as to her ability to record a hit song. However, Lady Gaga performed “Shallow” as the character “Ally” who is a laid-back, jeans wearing and make-up free aspiring singer and song-writer. So, I would say that Lady Gaga did branch out for this performance. And how about Bradley Cooper? He took 18 months of voice lessons just to sing as “Jackson” on A Star Is Born. Not only did he take lessons to improve his singing voice – he took lessons to entirely change his voice. He spent 20 hours a week for over a year with dialect coach, Tim Monich, to lower his speaking voice an octave in order to channel his character, Jackson Maine. So, Cooper’s “new voice” is referring to more than his ability to sing, but his actual voice itself and its pitch. As a note, his inspiration for this voice is Sam Elliott whose classic cowboy sound is well-represented by Bradley Cooper. I advise you not only to go listen to “Shallow” but to go see A Star Is Born and watch Lady Gaga and Bradley Cooper show off their talents not only as actors but as musicians in this film.